Brides, I understand that arranging for a destination wedding in Bali can be difficult, time consuming and sometimes frustrating. And it is indeed hard to judge from merely looking on a wedding planner’s website if the people behind that website are competent, professional and above all honest & trustworthy. The ladies there deliberately chosen the EASY as part of their name. Because for them it is all about making it EASY for you to have your dream wedding in Bali. 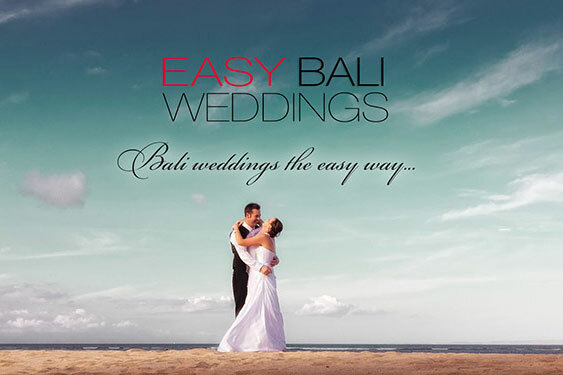 EASY BALI WEDDINGS have been planning, organizing and coordinating some of Bali’s most stunning Villa Weddings. With over 5 years of experience in Bali’s wedding industry, the team is the perfect partner for your dream wedding in Bali. Meticulous attention to all the tiny details, high work ethics and a ‘Yes, can do attitude‘ – characterize their approach to realizing your Dream wedding in Bali. EASY BALI WEDDINGS specializes in tailored, highly individualized villa & estate weddings. However, they can also assist you with any other kind of destination wedding in Bali. From budget planning, venue consulting and villa inspections to arranging all the details for your big day in Bali, EASY BALI WEDDINGS team provides all the services you require. Based on their long-standing experience in Bali’s wedding business EASY BALI WEDDINGS has a vast network of vendors and close working relationship with Bali’s top wedding venues. This enables them not only to find the best venue and vendors for you, but also to negotiate the best prices on your behalf.